Brand your purchase orders in line with your own specifications. Impress your suppliers with one of our professionally crafted templates or use your design skills to create your own. Create and send purchase orders straight from your phone or tablet. 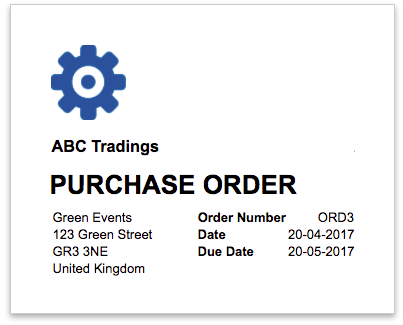 Your suppliers can view your purchase orders online and download a PDF. 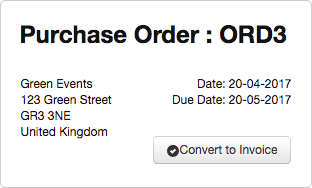 Save time and effort by automatically creating invoices from purchase orders. Status management and reporting for open, invoiced and rejected purchase orders.